A ‘Whole School Read’ can involve students of all ages, staff and parents being encouraged to read the same book. It can also been done as a ‘Whole Year Read’ or another variation. 1) It is accessible to a wide age range and ability range. 2) It has appeal to adults as well as young people from Year 7 upwards. 3) It has appeal to both girls and boys. 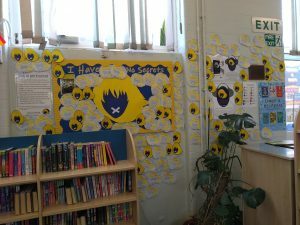 At Beaumont School in St Albans, Hertfordshire, the scheme is led by the Head of Literacy and the library team. Having both the English Department and Library staff on board has been important to the success of the scheme. Forty or fifty copies of the book are ordered and available to borrow from the school library. Students can go on a waiting list once all copies are issued. They are also encouraged to buy their own copies. The scheme runs from September (2-3 weeks after the start of term) until early March. 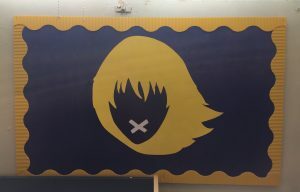 Teaser displays are put up around the school. Letters are sent out to parents to introduce the scheme and announce the chosen book. The scheme is used to promote reading as an important skill but also as an excellent form of relaxation and escapism. Parents are encourage to read the book too and to tweet their comments to @BeauLibrary using #BeaumontReads. Beaumont staff record themselves reading a chapter of the book and these chapters are posted on consecutive days creating a serialised ‘audio book’ for students to access. At Marlborough School in St Albans, the Big Read was launched with students being read a chapter of the book by their teachers at the start of each lesson during the day—so that they had heard the first five or six chapters by the end of the day. Even Year 11s were clamouring to hear the next extract! At Beaumont, a dedicated Google Classroom site is set up to support the Whole School Read. This is where the audio recordings are posted and also the competitions, activities and events which are organised around the book and linked to the entire school curriculum. All students and staff who read the book and write a review are presented with a custom made pin badge. 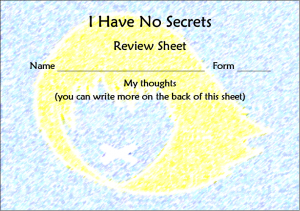 A custom made review sheet is available and these make a great display. As the school runs a ‘Whole School Read’ each year students can collect these badges — and they are also encouraged to read previous whole school reads. Write a letter from Jodi to Jemma. Write a section from a different character’s viewpoint. Continue the story—what might happen next? 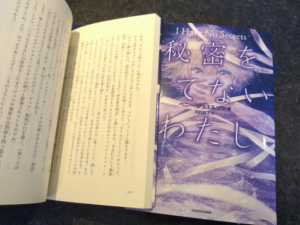 I Have No Secrets is available in German. Students could translate a section. Pick one of the characters and describe ‘a day in their life’ in the language you are studying. 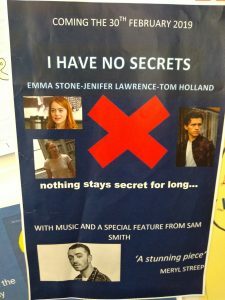 At an award ceremony a group of students responded to ‘I Have No Secrets’ with an amazing dance routine. Pretend you are the band ‘Glowlight’ from the book. Compose a song that Jemma would like— or that reflects her life. Paint rocks/ pebbles based on the book cover. 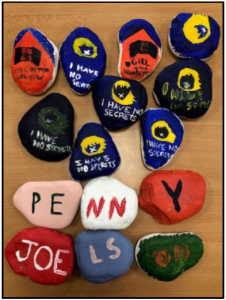 (Picture from Marlborough School, St Albans) These could be hidden around the school for others to find. 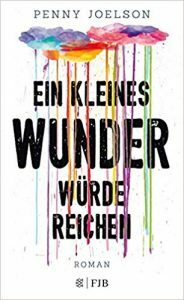 Look at the German, Japanese and English covers and discuss. Design a Movie Poster for the film of the book. Twitter and Instagram can be used to promote the Whole School Read and students, staff and parents can post reviews and comments as well as images of work produced in relation to the scheme. 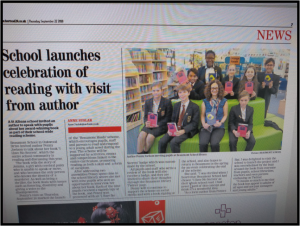 Local Press coverage of events will be good publicity for the school too. 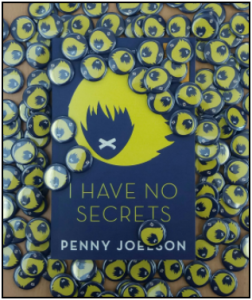 Penny Joelson is delighted to be involved with ‘Whole School Reads’ where her books are being used! 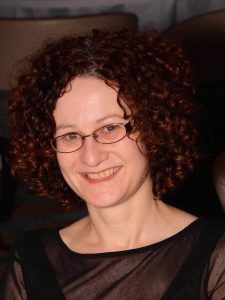 If near enough, author visits can be arranged with talks and/ or workshops. If further away, Skype (or similar) is an option or a chance to email questions and answers etc. Penny is also happy to judge competitions in relation to a Whole School Read. Penny can be contacted by email pennyjoelson@btinternet.com. Celebrate the end of the Whole School Read with an event or assembly! Create a portfolio of work created, reviews and photographs. 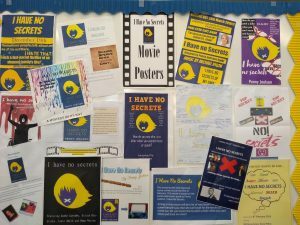 For example, over 300 students borrowed ‘I Have No Secrets’ from the School Library at Beaumont School during the Whole School Read. Over 170 students wrote reviews. Many thanks to Karin and Tracy for sharing their process for their Whole School Read!